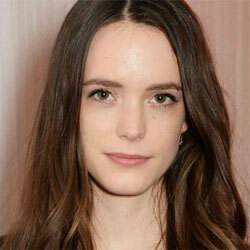 Stacy Martin (born 1 January 1991 in Paris, France), is a French-American actress. She starred in the movies Nymphomaniac, Tale of Tales, Taj Mahal and High-Rise. She has been the face of Rag & Bone clothing in 2014, and Miu Miu since 2014.